At only 10€80 this book is proving a howling success at Rennes-le-Château! Val Wineyard contacted all the wroters she knew who were interested in Rennes-le-Château and asked them to write a short article for a collection. No writer knew what any of the other writers had written. The resulting collection is extra-ordinary! People opened their hearts and we read how and why they came to Rennes-le-Château to live and what the region meant for them. These make moving stories. Other doors opened too; there was a lot of interest in the Holy Grail and the Sacred Union, as well as the history of the region, which is actually little known. Click here for more. Ben's latest book is brilliant and brilliantly funny, especially the dialogue between the characters with their understated British humour and the references to sausages! Ben Hammott (the characters are named after real people) drives through the rain to meet an unknown businessman at Rennes-le-Château. Ben sipped his whisky thinking - "why am I nervous?" Then he was told what he had to do . 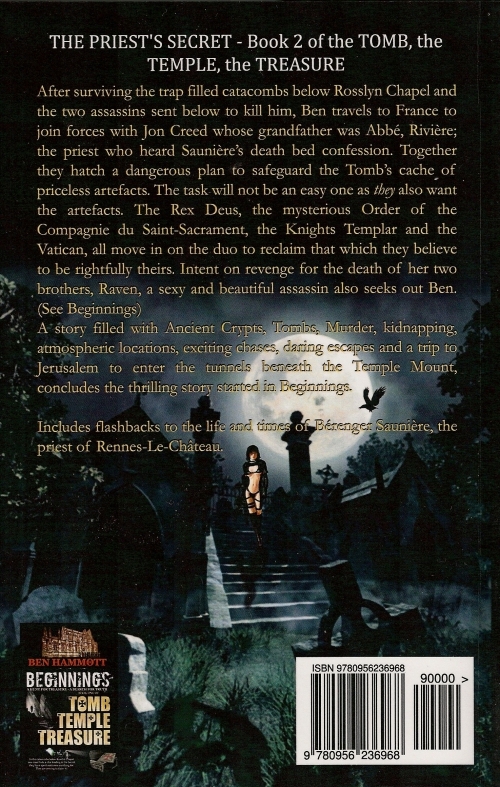 . .
A tomb had been discovered by Bérenger Saunière and Ben's imagination re-constructed events of "the Rennes-le-Château mystery" with great skill, including tender kisses from Marie in Bérenger's arms. Bérenger had found a treasure indeed and this had to be hidden at all costs or it would destroy the church he loved so much. And, back - or forward - to the twenty-first century, Ben is the man, with a couple of faithful companions, one with long blonde hair and an urge to kill someone, to find the Treasure and take it back to its proper home. 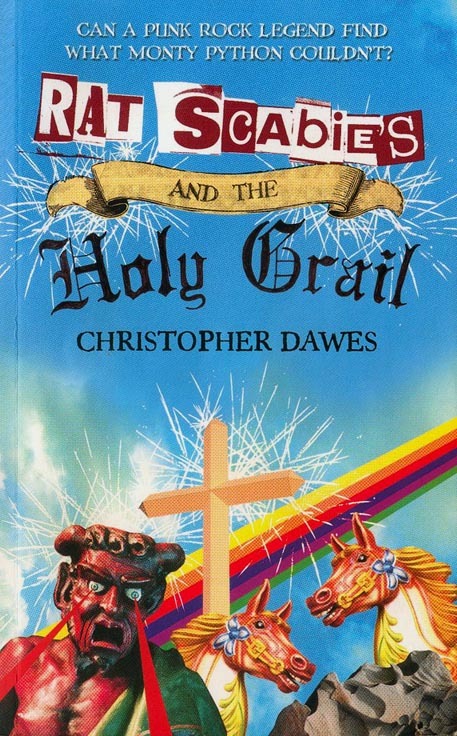 Unfortunately the baddies turn up then and it's a race, with people being shot or run over or thrown off cliffs, or locked in dungeons, on every page. Among the baddies was Raven - an incredible young woman, taken to wearing nothing but black bikinis and long black fur coats who had the urge to kill Ben but made him her prisoner instead. And so - what happened in the end? Ben went further than any man had been before and loved what he found. The mystery was so beautiful! The ending was a real and most unexpected surprise! You can see all of Ben's works and books, and his research into Rennes-le-Château and the mysterious countryside around it, on his site, www.benhammott.com His books are also available on Amazon. 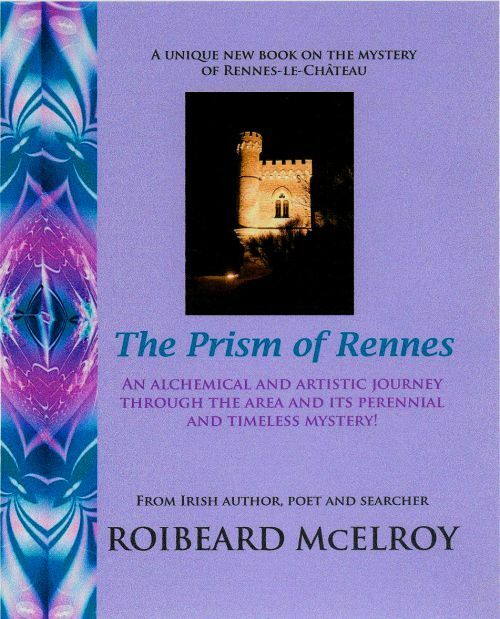 The Prism of Rennes by Roibeard McElroy. Roibeard has been writing as a Celtic bard for a long time, but several visits to the Rennes-le-Chateau region inspired him to write The Prism of Rennes, all in the Bardic style, where the poems consistently mirror the prose, and vice versa. It is unusual, brilliant, quite mystical; the new eyes looking at our region communicate their visions to us. I liked it very much indeed - it "works" as we editors say! This little book is vastly under-rated! Jaap's artist friend did the delightful pictures (that Jaap loved) but the publishing industry decided they must allocate the book to the genre - children's book. A super new book featuring Montsegur has been written by Jeanne d'Aout (the pen-name of Anneke Foremans, from Barinca Travel).
" They do exist. Secret underground laboratories where previously unemployed professors work on secret inventions for unknown employers. In Switzerland, Professor William Fairfax succeeded in creating a stable wormhole through which people could travel through time. Without realising the consequences of their adventure, Dr. Danielle Parker and Dr. Gabby Standford are sent back to the first century, where they discover the amazing story of Oshu, the real Jesus. This incredible adventure, however, results in the kidnapping of Danielle. For Danielle's freedom, the kidnapper demands one of the most intriguing historical artefacts known to the world: The Ark of the Covenant." 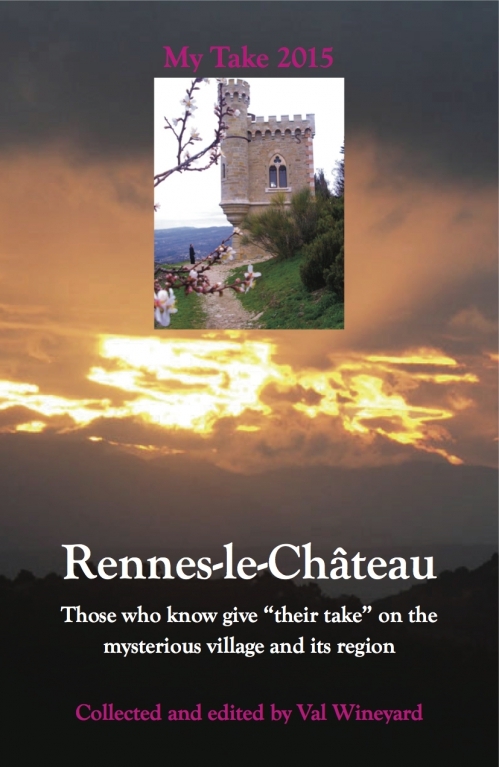 Jeanne told us her book is about the enigma of Rennes-le-Chateau and Otto Rahn. Montségur is one of the places where Otto Rahn, a Nazi relic hunter in the nineteen thirties, came to the region several times trying to find Grail treasure. In her book Otto goes back to Montsegur, and the story of the Cathars is told. Anneke is passionate about it. It is little known that Hugo Soskin is the son of the well-known Henry Lincoln, who adopted the name Henry Lincoln in the early stages of his career. 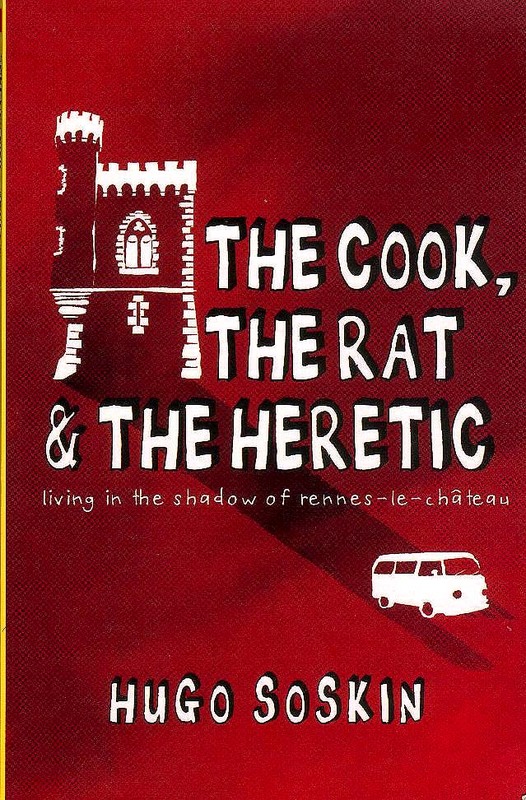 His son Hugo got dragged off to Rennes-le-Château on a coach trip almost against his will (See the Rat Scabies book below) but ended up working in a restaurant near by and generally having a grand time. What's fun about the book is his immense sense of humour and unusual mind-set - and he became reconciled to Rennes-le-Château in the end. Well - nearly. 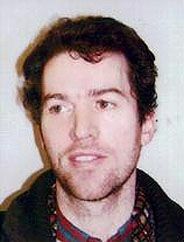 Hugo Soskin died on 17th September 2012 at his home in Egypt. Sad news indeed. Some unusual and classic books that can be purchased in the shops of Rennes-le-Chateau. A detailed study of the Templars, part of which the authors persued in Rennes-le-Château country, challenged conventional Christianity with its implication that John the Baptist and Mary Magdalene were more imporant than Jesus in the history of Christianity, and that these two saints laid a foundation that Jesus followed, not initiated. Impossible? 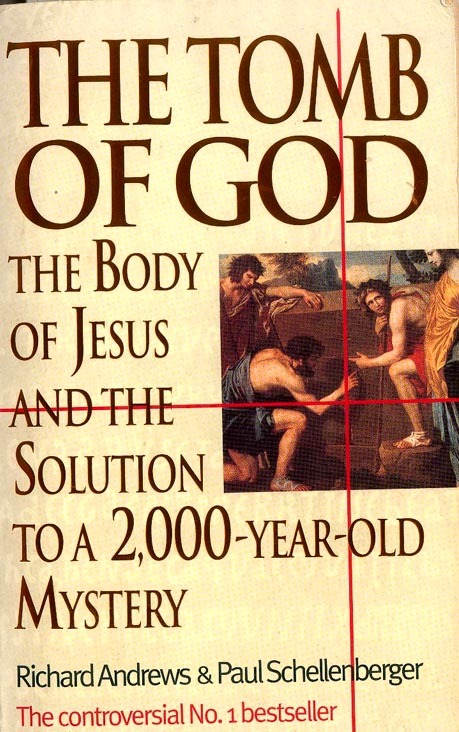 Lynn Picknett persues and developes many of the ideas in the previous book, pointing out recent historical research implying, no, categorically stating, that Mary Magdalene was the chief of Jesus's disciples, spiritually higher than Peter, who inherited the Roman church, and James, who inherited the Jerusalem church. 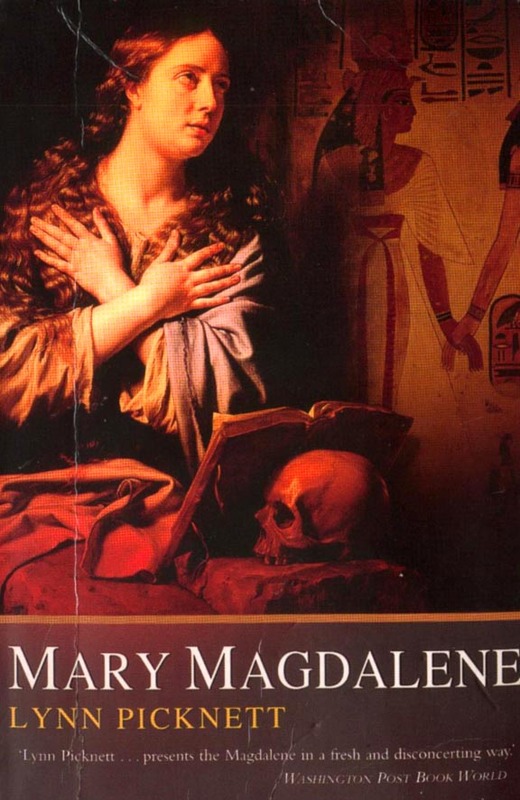 Lynn describes the Black Madonna cult in France and concludes that Mary Magdalene might have been black, as well as the consort of Jesus, which many people would find totally shocking. After the Crucifixion, Mary totally disappeared - could she have come to Languedoc? This book is a little out of date now, because knowledge of the Rennes-le-Chateau mysteries have moved on, but I found much research in it that is not in the other books. Was the "treasure" of the priest Saunière the knowledge of Jesus's last resting place? 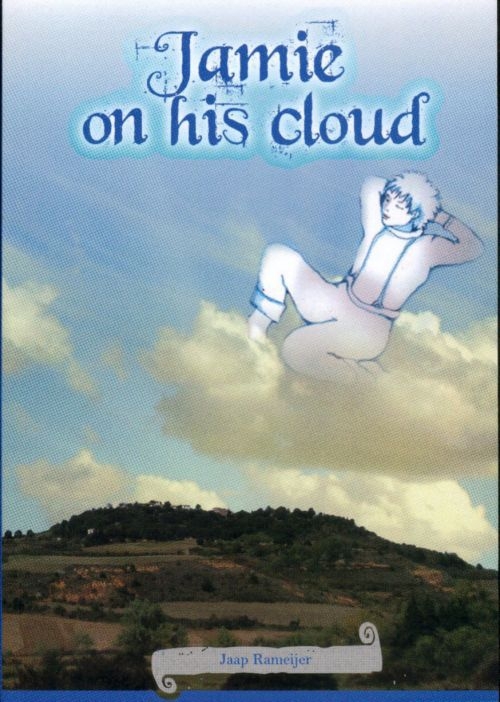 The book is captivating, told in a cheerful, jolly style that seduces one at first into thinking the book is not serious; but it is, and when reading it, I discovered many truths about human nature . . . the "red mini phenomenon" - brilliant concept! The fun began - midnight meetings in the cemetary, getting to know the leading lights of the writers about Rennes, madcap chases across France to investigate Lyon and Montpellier, vehicles breaking down, horses escaping from fields never to be seen again, ghosts rising like mist between the buildings of Rennes-le-Chäteau. Chris and Scabies never found the Holy Grail but they did find personal knowledge of themselves . . .
Lawrence Gardner is a Holy Grail expert and his story ranges over Mary's identity, her secret marriage to Jesus, the suppression of her bloodline by the Roman Church, what happened to her children, why she was so beloved by the Knights Templar, and the relationship between Mary Magdalene and the Holy Grail. Not all of this book convinces me but it is a mammoth and riveting work. Graham Phillips decided to explore his theory that the Virgin Mary, Mother of Jesus, was connected with the Holy Grail. He visited the Vatican and the Holy Land, ending in Angelsey. This book reads like a novel and we feel we are beside Graham as he travels, making amazing discoveries along the way. We see the Holy Land through his eyes, Jerusalem, Jesus's birthplace, Ephesus in Turkey; and England of the first century. It is an historical fact Christianity began in the west of Great Britain as early as 37AD . . . Graham Phillips is on Facebook and many films of him are on Youtube. 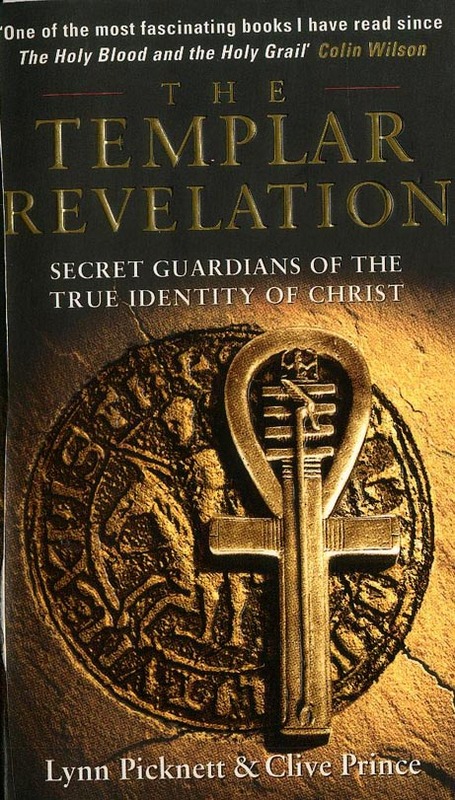 Not only do we have the lucid style of two co-writers of "The Holy Blood and the Holy Grail" here, but they were involved, especially Michael Baigent, in unravelling and exposing the suppression of the discoveries in the scrolls by the Roman Church. The scrolls were discovered at Qumran, a fortress/community on the shores of the Dead Sea in Palestine. 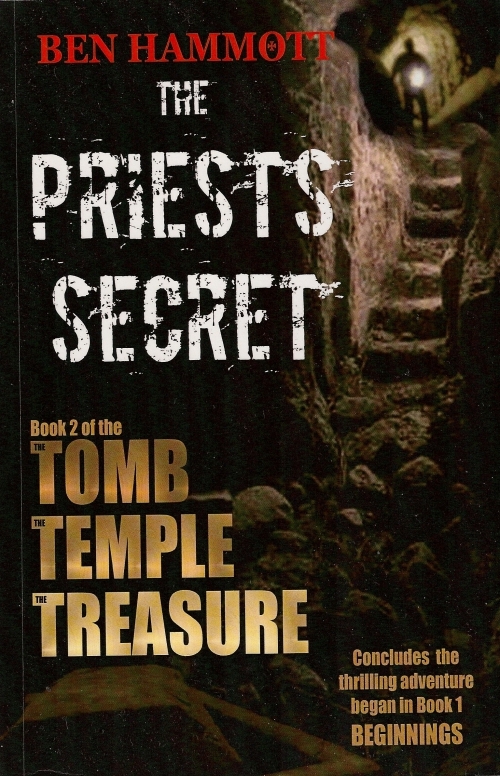 Also involved in this story is Robert Eisenman, the American archeologist and Early Christianity expert, who campaigned for years within the archeological community for more open-ness on the content of the scrolls. Eisenman also came to Rennes-le-Chateau where he made various discoveries about Early Christianity. Last but not least - for all the books I myself have written, click here.